For experienced and knowledgeable counsel for legal matters pertaining to agriculture, people rely on the Law Offices of Kathleen P. Clack. From our firm in Fresno, California, we represent clients, including growers, ranchers, shippers, suppliers, vineyard owners and fresh food processors. 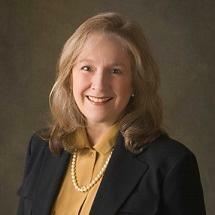 Our founder, Kathleen Clack, has more than 20 years of experience and is native to the Central San Joaquin Valley. Whenever feasible, we attempt to handle cases using alternative dispute resolution methods such as negotiation, mediation and arbitration. If necessary, however, we are fully prepared to represent clients in trial. Ms. Clack has extensive experience litigating cases in California courts and before government agencies, including on behalf of clients in state and federal agencies. The Law Offices of Kathleen P. Clack accepts credit cards as payment. We work with people in Fresno and surrounding areas. We invite prospective clients to arrange a preliminary consultation to discuss their needs and goals.